It seems we are already going through this year at lightning pace. Next week signals the start of Term 1. That of course means this week is O Week! Even though I know the weather isn’t the best at the moment (across most of Queensland), I do encourage as many students as possible – especially new students – to attend. There are lots of great activities organised across the whole CQUniversity campus network, all of which are designed to introduce you to uni life and study. It is also a really good way to meet fellow students and connect with teaching staff. Also don’t forget to follow CQUniversity @CQUni on Twitter and join the CQUniversity Student Facebook group for all the latest uni news and information. Good luck in the year ahead! Thanks for choosing CQUniversity. 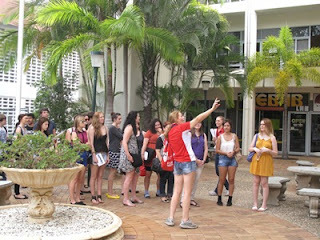 In late January, the CQUniversity community welcomed Eve. Eve is the first calf born from a ‘handmade cloning’ process which is potentially the first viable cloning method for large-scale improvement of the beef industry. CQUniversity’s Professor Gábor Vajta established this technology, which involves a simple dissecting microscope and micro blade to dissect and reconstruct the embryo to affect a 'somatic cell nuclear transfer’. 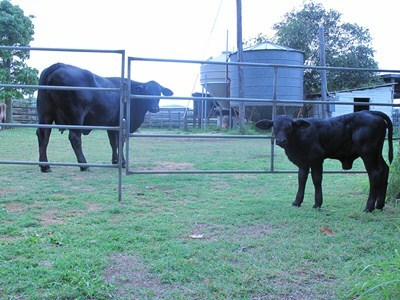 The overall goal is to find the best way to commercialise cloning for the benefit of the cattle industry. 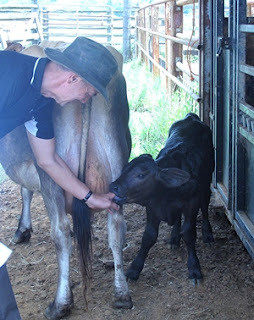 Professor Vajta has been working on the more viable handmade cloning technique in collaboration with local firm Australian Reproductive Technologies (based at Mt Chalmers near Rockhampton). Positive results were instant and a pregnancy was achieved on only the second attempt. I know cloning is an issue that can sometimes divide opinion, but there are many compelling arguments in favour of the process for agricultural applications. Professor Vajta has written a very informative opinion piece which appeared in a recent issue of CQUniversity’s Be magazine – you can read it here. Best of all Eve and her birth mother are both doing well. I am sure we would all agree that Central Queenslanders live in one of the best regions of Australia (if not the world). It seems however the only downside is our extreme and incredibly unpredictable weather. Only two years since we witnessed devastating flooding that covered most of the State and the unthinkable has happened – another flood and more devastation – this time having unprecedented impacts. The Bundaberg and Burnett regions were the most severely affected with Gladstone, Rockhampton and the Fraser Coast also suffering. It is pretty unbelievable this has happened, not just because it seems like yesterday the people of CQ were cleaning up after the last deluge, but because up until just before the Australia Day long weekend we were enjoying some of the best weather our great state has to offer. The catastrophic flooding in Bundaberg has really hit home hard for us here at CQUniversity, the news that some of our staff and students were affected has devastated the whole CQUniversity community. The thoughts of everyone at CQUniversity have been with our colleagues, students and friends in Bundaberg over the past week. It is however times like these that I am also glad we are one of Australia’s most engaged universities – as soon as word came in about the situation, our fabulous employees acted and came up with ways to help the community. 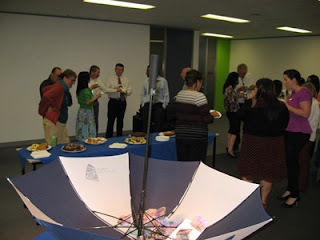 Many staff in Bundaberg joined the mud army or helped friends and family, a collection was established for books and school supplies for one of the local school’s that was inundated by flood waters and our metro campuses held umbrella fundraising morning teas which raised almost $1500. This morning in Rockhampton we also held a free community fundraising breakfast. 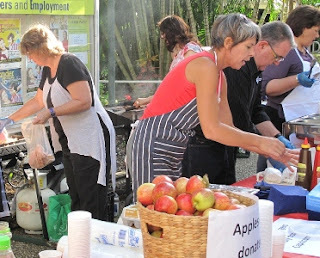 It was a great turnout with staff and students volunteering cook breakfast and collect donations, further to this I am pleased to announce that this event raised more than $2000. I’d really like to thank everyone involved in these terrific engagement activities so far (especially those that had to get up at 4.30am this morning). Your efforts make CQUniversity great and epitomise true community spirit and engagement! Finally, I'm aware of a number of staff and students who have been personally hard hit by the floods, and for some it will be a long road back to normality; to those people, please know that you continue to be in my thoughts, particularly as we undertake these fundraising and engagement efforts.